CarPlan has been tasked with keeping the Marussia F1 Team's car looking immaculate for a third season of grand prix racing. 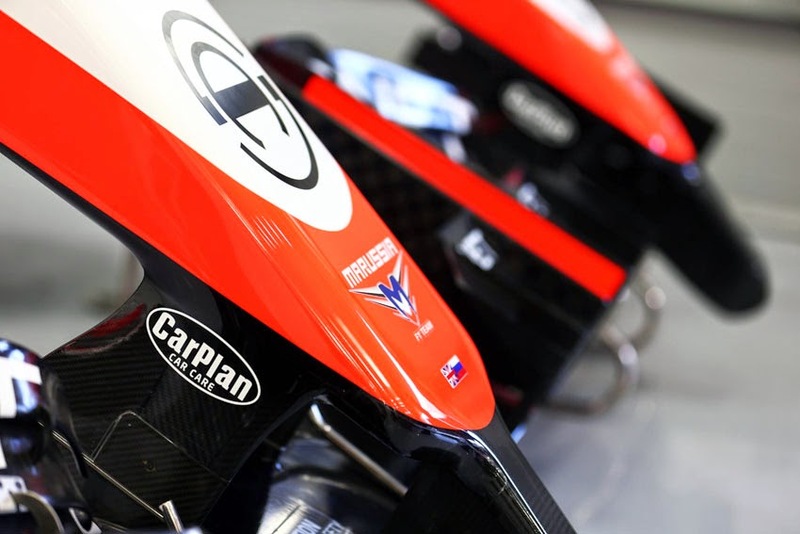 CarPlan has been signed up as the official supplier to Marussia. from an association with the company and the use of its wide range of products within our trackside operations. Our renewed relationship with CarPlan is a further example of the faith our partners have shown in our ability to keep pushing forward in pursuit of our ambitions," said Andy Webb, CEO, Marussia F1 Team. Peter Schofield, Chairman, CarPlan's parent company, Tetrosyl, added, "The CarPlan brand is growing substantially and, as it's our aim to stay at the forefront of innovation and technology, we're delighted to have teamed up with the Marussia F1 Team again so we can benefit from the products being used in an environment that demands nothing but the best. The continued exposure the range will have among users who appreciate how quickly, easy and effective the different products are, is a great move for us. We wish the Marussia team the very best of luck for the 2014 season."